Every year at Dublin Diamond Factory , our award team have the great privilege of being part of our couple’s special journey. With each proposal, there is a story and part of that story is an engagement ring. 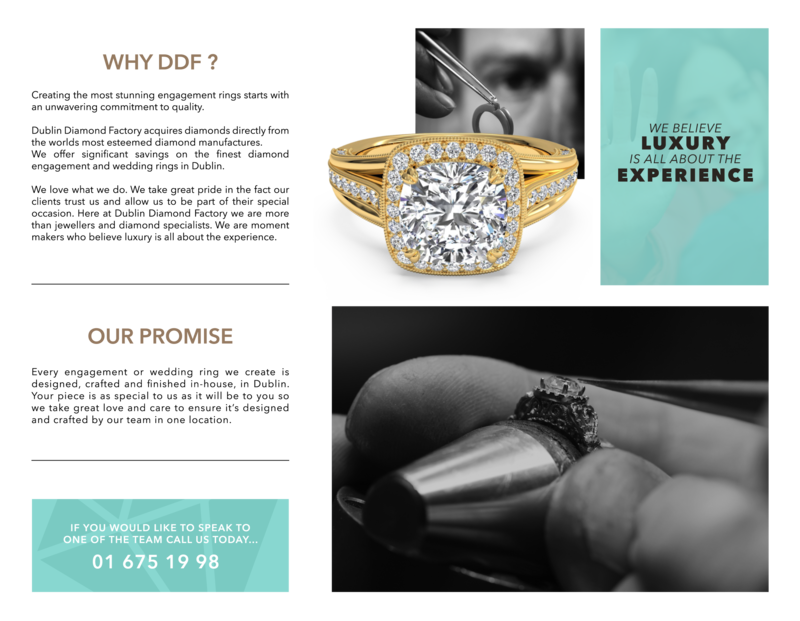 Every engagement ring that is created at Dublin Diamond Factory is unique and truly bespoke in its own special way, a reflection of each couple’s history and style is always a good starting point when designing a bespoke engagement ring. During an appointment Our designers will be on hand to offer, help and advise when needed. Our experienced team take great pride in every piece, no matter how classic or bespoke.By making the experience of bespoke design a personal one, we will get to know you along the way and guide you in making the right decisions to suit your style , taste & budget.